These goals mean there is lots of potential for working more closely with public libraries, and while there may already be some local effective partnerships and centres of expertise, we would like to explore how to ensure a more systematic and nationally consistent picture might emerge. The role of PHE includes creating innovative marketing campaigns which aim to make a measurable difference to health outcomes, across a range of life stages and health issues. They have identified 3 main life stages and focus on ‘starting well’ - which is about establishing healthy habits in children, ‘living well’ - which has the aim of making it easier for adults to maintain or create healthy habits, and ‘ageing well’ - which identifies the risk factors that accumulate with age and suggests ways to counteract them. 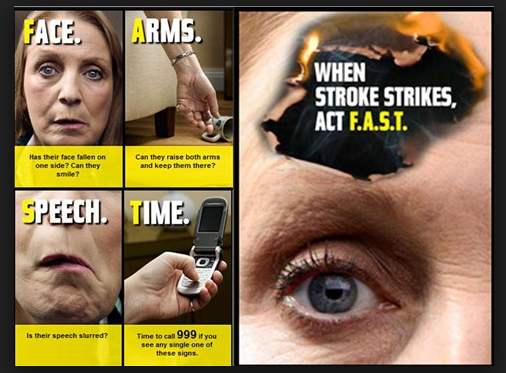 Campaigns include Change4Life, the F.A.S.T campaign around strokes, and Stoptober. They also work to create coalitions of public, private and third sector organisations, to engage with the public and achieve goals collectively. They provide evidence based ‘on-demand’ health interventions through high quality digital platforms, helplines and social media response. Their materials are based on data analysis and close working with experts in specific fields. How do they support people through digital channels? With around 3.5 million people registered via their digital channels, they can have ongoing contact and build a deeper understanding of what people need, and what works. 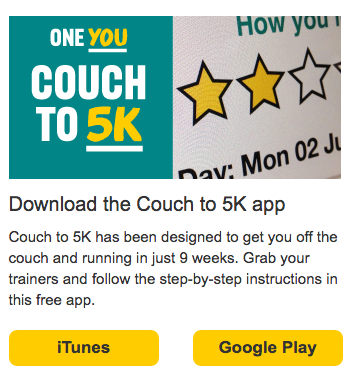 Tools which enable people to track their progress such as the Couch to 5k app support behaviour change, while personalised interventions, such as Stopadvisor (on stopping smoking), can have a big effect as they offer support throughout a potentially long process. PHE already work in partnership with many organisations. They have networks in local areas, including councils, the NHS and schools. They provide campaign assets which can be locally customised. Working in partnership with academics means materials are evaluated rigorously, in some cases, papers are co-authored. Public/private partnerships have generated practical support - for example, over 200 national organisations have collectively provided £52 million of ‘in kind’ support for Change4Life by spreading the campaign messages. Libraries could use PHE information and resources for health displays. PHE digital campaigns could be promoted in conjunction with free use of the internet in libraries - for example during training sessions, via splash screens on terminals or lists of resources that can be consulted. When there is a particular local need, for example around resources to support cancer or dementia, PHE can help with campaigns that work for that issue or demographic. During storytimes, Change4Life can provide healthy ideas via a range of nutrition and exercise focused literacy resources on the PHE SchoolZone. To support a “right time, right place” model, library staff can use PHE channels when they are asked about health behaviours, for example “do you have anything on losing weight, or giving up smoking?”. PHE’s campaign materials can be provided free to help respond to these queries. Finally, libraries can sign up for regular updates on health campaigns that PHE are running. This would enable them to respond when people see national campaigns, and come to the library wanting more information. Find out more by going to the PHE Campaign Resource Centre where you can sign up to receive campaign updates and to access free campaign resources. Towards the end of November, PHE and Department of Health are launching a new campaign to raise awareness of the key symptoms of sepsis, particularly amongst parents of children aged 0-5. The campaign will be launched with a new video explaining the key symptoms, as well as the release of leaflets, posters and other materials to help raise awareness. We are asking everyone who has contact with parents to support the campaign by displaying posters to share these key symptoms. For further information and to pre-order posters, visit the Sepsis Campaign pages on the PHE Campaign Resource Centre.